MANILA, -- Sen. Juan Ponce Enrile was able to achieve at a recent meeting of the bicameral conference committee on the National Budget an increase of P10 billion (($210 million) $21 million) for the Philippine Air Force for the purchase of sorely needed jet aircraft for the country. The senator, was attending the conference committee meeting along with fellow Senators Ralph Recto and Paolo Benigno “Bam” Aquino and the members of the House contingent, when he deplored the low budget provided for national defense and security, especially in the face of growing challenges in the South China Sea. He proceeded to cull P4 billion from the budget of the Department of Public Works and Highways (DPWH), P5 billion from the Conditional Cash Transfer (CCT) program of the Department of Social Welfare and Development (DSWD), and P1 billion from the President’s Contingency Fund – for a total of P10 billion. Together with P1 billion which Sen. Loren Legarda had been able to transfer from the Reproductive Health program, a total of P11 billion was added to the PAF budget. The original Department of National Defense budget of P116 billion was thus increased to P127 billion. For years, critics have lamented that Philippine security is among the weakest in this part of the world. In a desperate attempt to maintain a presence in one disputed part of the South China Sea, we had to use a partly sunken Philippine vessel as a base for a contingent of Philippine Marines. It was only recently that the PAF was able to acquire jet fighters from South Korea to add to its jet trainer planes and its old propeller-driven aircraft. Perhaps more than the other members of Congress because he once served as defense minister of President Marcos, Senator Enrile saw the need for a stronger defense posture for the country, not just to meet external threats but also to better manage the danger posed by armed separatist groups in Mindanao. The P11 billion that Senators Enrile and Legarda were able to add to the PAF budget is a welcome boost to the overall defense of the country. We may also be getting some aid from the United States under the Enhanced Defense Cooperation Agreement, which was recently upheld by the Supreme Court, but these should merely supplement our own resources and capabilities which are the pillars of Philippine defense. 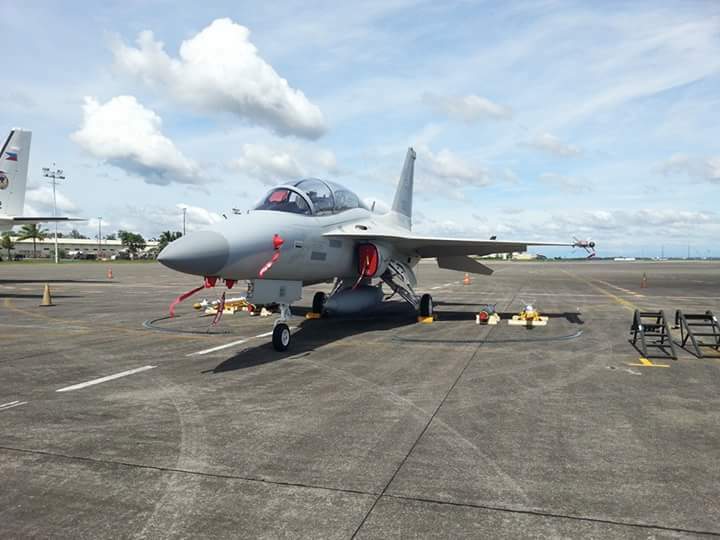 The Philippine Air Force FA-50PH at Clark Air Base, Pampanga Philippines. Now, go acquire a squadron of our dreamed jas gripen for our mrf, COUNTRY DESERVE THOSE ASSETS!